The new membership mobile platform delivers a generic solution to mobilize the card membership while supporting physical card at the same time. Members can be upgraded to VIP by gaining the reward points thru in-store spending. Meanwhile, the eCoupon function turns into a marketing tool in the eCoupon distribution. 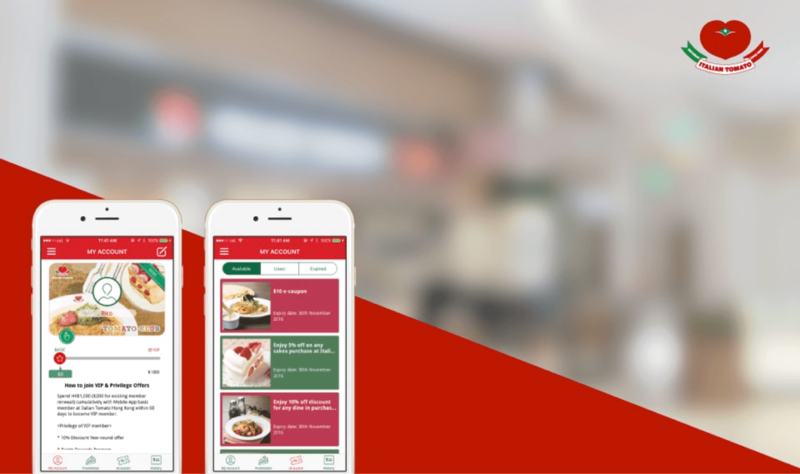 It is more accessible now for Italian Tomato to reach the target groups and implement the redemption at stores more effectively. Mobile Membership and Loyality Program, Mobile UI/UX Design, iOS and Android Development, Content Management System, eCoupon platform, Push notification, POS integration, Data Encryption, Connection Security. Now, try this Italian Tomato mobile app!